From Italy, Greece is a short flight or boat trip away. Santorini is one of the most exciting cities in Greece. The Greek Aegean island of Santorini is also one of the most beautiful places on Earth. It is noted for steep streets and white-painted buildings with blue trims. Santorini caters to its tourists. It has some of the best jewelry stores, restaurants and wines in the Greek Islands. You will also find great spas here. Enjoy life as it was meant to be enjoyed! If you are looking for romance, Santorini is your place. 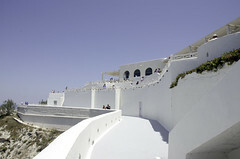 Santorini is part of the Cyclades islands in the Aegean Sea. This area was devastated by a major and very violent volcano eruption in the 16th century B.C.E. It left a natural bay in the center of a group of islands. Thursday morning is no different from the other mornings. We awake to beautiful blue skies, puffy occasional clouds and shimmering sea. We are off, you guessed it, to Isola Verde for breakfast and WiFi. This place has a real following in Marina Casal Velino. It is right on a street directly across from the beach. Their pastries are fresh each day and crispy. Nothing is too sugary. Fillings, like marmalade are just a small amount. The espresso is done perfect. A great way to kick-start your day. 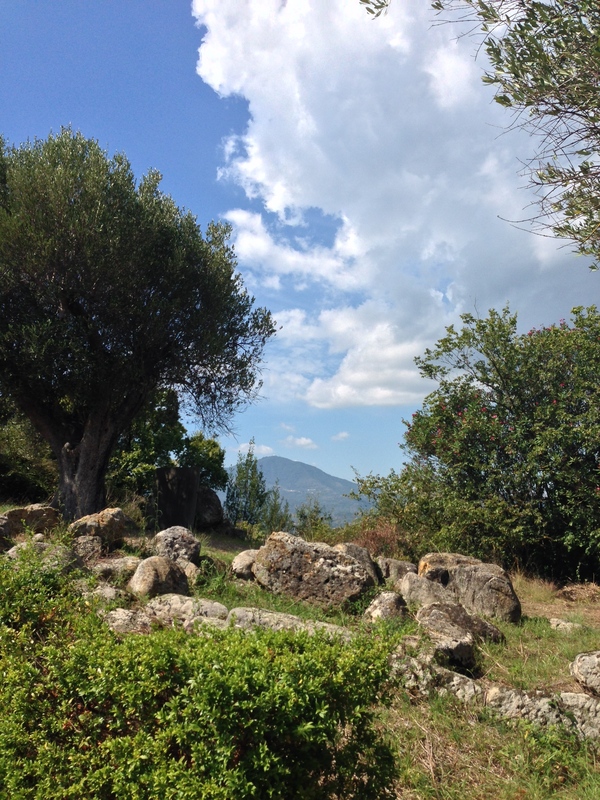 We discuss our plans for the day and conclude that a trip to Pisciotta is in order. 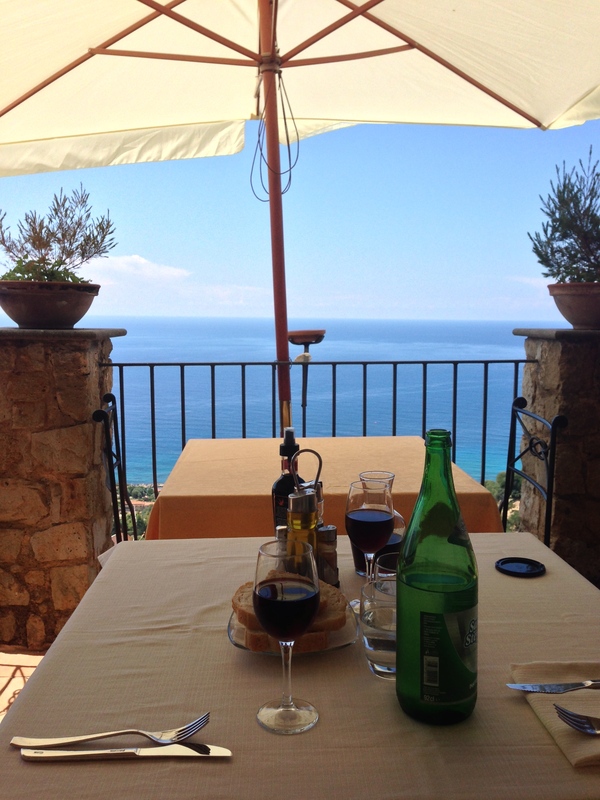 Pisciotta is a small mountain town not far from the beach town of Ascea (our second beach area). The road up is small, like all Italian mountain roads, but in good condition. We arrive in Pisciotta and find a parking garage in the center. We didn’t know if we needed a ticket and where the machine was. It turns out, the local Tobacco store (also sells newspapers, gum, etc) sells the parking tickets. You buy it and mark it up as to time in. We walk back to the parking garage and place the ticket inside on the dash. Now we are free to explore Pisciotta. 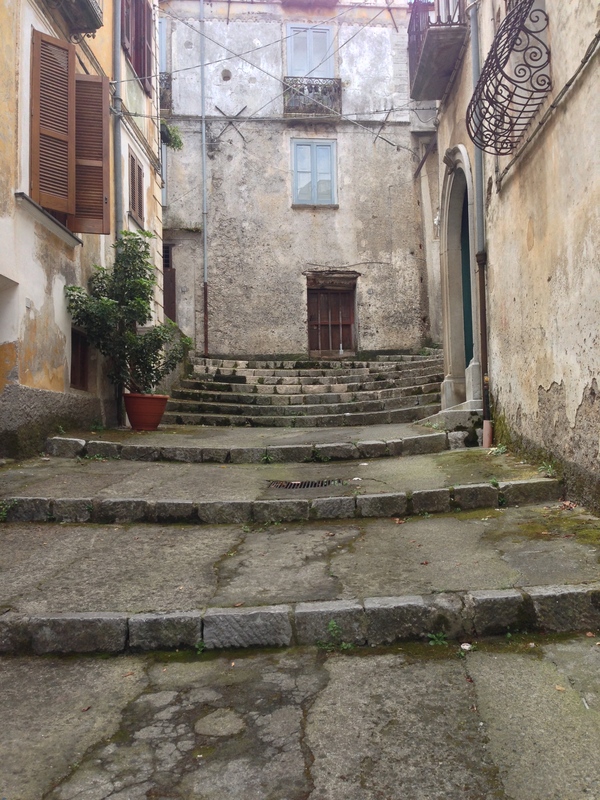 From the center of town, stairs lead up a high hill into the old section. Streets are pedestrian only and very narrow. We discover that local deliveries are done on small narrow vehicles with treads (like a tank) that can go up steep hills and also climb up or down stairs. We find a restaurant called Tre Gufi (three Owls). It is too early for lunch but the owner invites us in to see the view. After about a hundred pictures we leave to continue our walk around the old section. We decide to come back for lunch here. The walk around town winds and climbs up and down stairs. There are views everywhere. Some of the sea others of the mountains. It is a beautiful and memorable town. After a long walk around this wonderful city, we need to buy another ticket for parking and place it in the car. The locals tell us don’t worry it is lunch time and the police are eating. We then head back up to Tre Gufi for views and lunch. They let us pick a table outside overlooking a cliff down to the marina. What a wonderful setting. 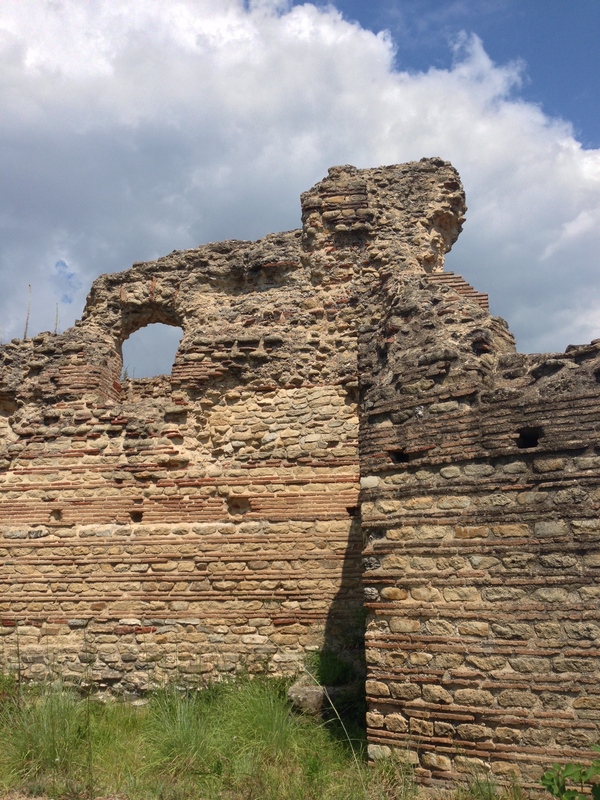 On the way back we stop in Ascea to visit an ancient Greek city ruin of Velia (Elea in Greek – 538-535 BC). This was a huge city on the sea with its castle high up on the mountain. The ruins still show a part of this city. You can see foundations of houses and buildings and a coliseum. It was a very hot day and we had no shade. 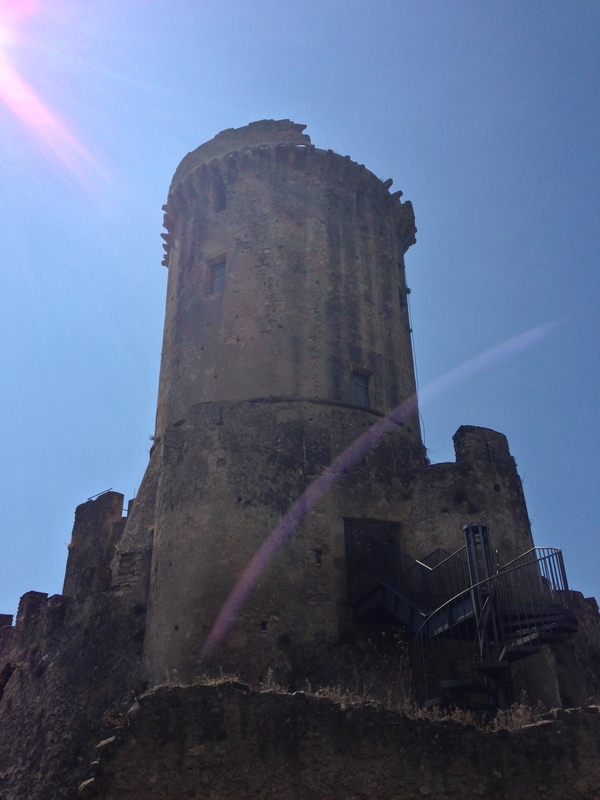 The climb up to the tower was hard but we were rewarded with a spectacular ruin still in tact and a great view. We then head home but first made a stop at the vegetable man to get fresh fruit and vegetables. We ate at home that night and enjoyed our view and sunset. Tomorrow we will discuss Friday, our last full day, in paradise. Campania Italy is a beautiful place that many Americans visit. Many Italian-Americans are from here. When we think of Italian food in America, most of it comes from this region. At the north of Campania is Naples. A very old city with many residents. New York style pizza originated here. Pizza was probably first made here. Pastas are wonderful and seafood is abundant. Naples sits on the sea next to Mount Vesuvius. It is connected to Rome and the north and the south of Italy by well-built autostradas. These roads are wide and cars travel very fast. In the middle of Campania is the world-famous Amalfi Coast. Real estate is very expensive and limited here. It includes Sorrento (across the bay from Naples) to Salerno. It also includes the island of Capri. Many famous and rich people can be seen here. The Amalfi Drive road is a windy narrow road originally built for horses by the Greeks and widened by the Italians. The scenic beauty here is unimaginable. My favorite town in this region is Positano. Positano is a hillside town built on a mountain. When you look at the construction you wonder how they ever accomplished it. Farther south is Pasteum a Greek ruins town with better ruins than in Greece. Then comes the town of Agropoli. From here to the southern end of Campania are wonderful beaches that have won awards for cleanliness. Boating and fishing are big here. The Amalfi coast and the Amalfi Coast highway run from Sorrento in the west to Salerno in the east, passing Positano and Amalfi. This region of Campania is one of the most beautiful places on Earth! It is very hilly with gorgeous views of the Mediterranean Sea. 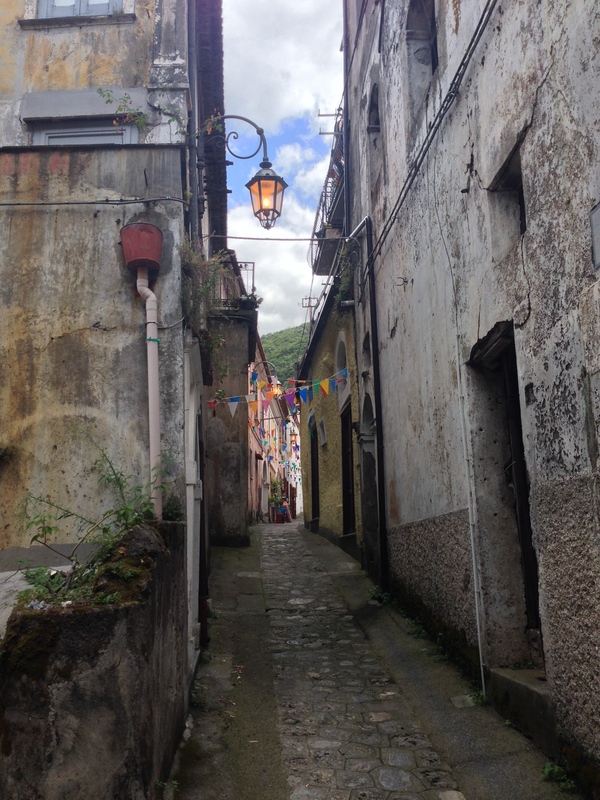 Summer in Italy wrote a BLOG on Salerno. Salerno is a seaport that was big in the end of World War II. The Italian main Autostrada from Rome south passes through this town. As you head south, you go through several tunnels. If you exit towards Agropoli, you pass the largest Bufala Mozzarella farms in Italy. You also will pass the Town of Paestum an ancient Greek town with better preserved Greek ruins than in Greece. 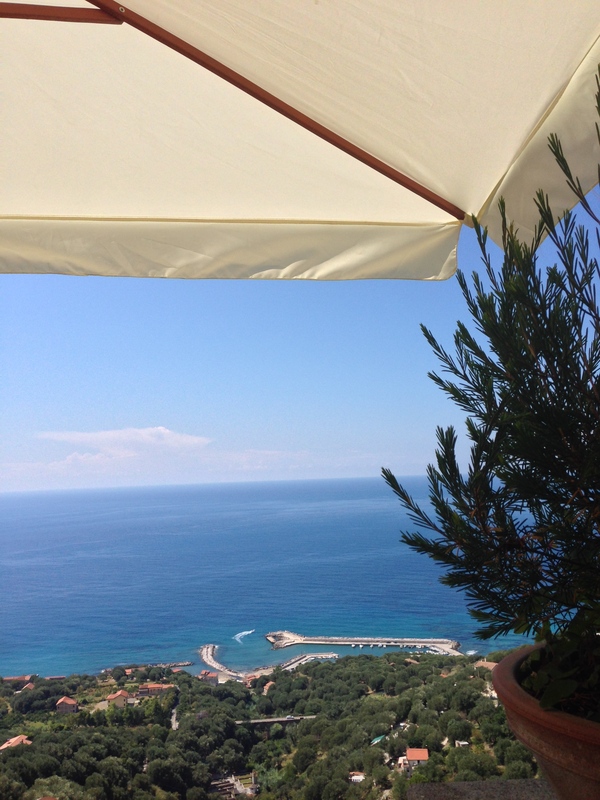 Beyond Agropoli is the National Forest of Cilento and many fabulous beaches. Enjoy! The Greek Aegean island of Santorini is one of the most beautiful places on Earth. It is noted for steep streets and white-painted buildings with blue trims. Santorini caters to its tourists. It has some of the best jewelry stores, restaurants and wines in the Greek Islands. You will also find great spas here. Enjoy life as it was meant to be enjoyed! If you are looking for romance, Santorini is your place.